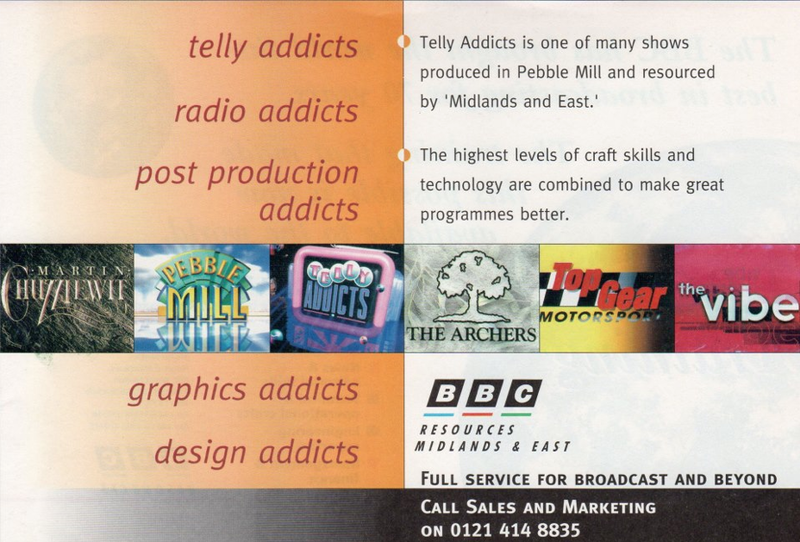 This is a page from the BBC Telephone Directory of 1995/6. It promotes the Resources Department of the Midlands and East Region. This would have been after the vertical split imposed by John Birt, when Resources had to become more commercial and take paying work from Independent Production Companies. 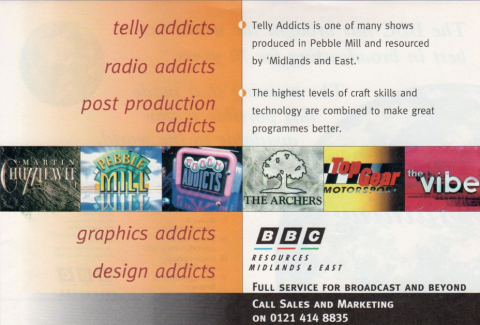 The page is lists prominent productions serviced by Pebble Mill’s Resources Department, which included design, graphics, editing, crewing – both radio and television. Thanks to Peter Poole for making this page available.